Argentina's Lower House will vote on the 2019 Budget bill on Wednesday, after the government successfully negotiated its way through the committee level. The 2019 Budget is the most contentious so far of the Mauricio Macri administration, given the austerity implications of the stand-by loan package the government signed with the International Monetary Fund (IMF) in June. "Today we, representatives of the people, will address the Budget in the Lower House. Democracy was born from a vote about how to use the people's money", coalition lawmaker Federico Pinedo wrote on Twitter. 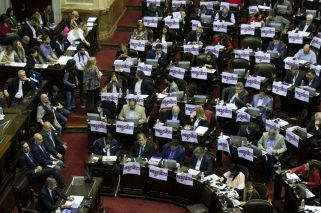 The government secured quorum in the Budget and Interior committee on Tuesday, with 23 coalition votes as well as those of Martín Llaryora (Córdoba), Juan José Bahillo (Entre Ríos), Jorge Franco (Misiones), Elda Pértile (Chaco) and Nora Adbala de Matarazzo (Santiago del Estero). The vote will include a package of tax measures to recalculate Personal Assets tax and Income tax based on a revised price index. The package, if passed, will also implement a special sole-trader tax mechanism for small sugar-cane and tobacco producers. Protesters and rain brought traffic to a near halt in some parts of Buenos Aires City on Wednesday morning. A mass protest is expected in front of the country's Congress throughout the day. Participants of the protest activity were forecasting incidents with police well before the 11am voting session. "The government wants to dirty our name. I am certain that infiltrated agents [at Wednesday's protest] will provoke incidents", activist Daniel Menéndez from Barrios de Pie told C5N on Tuesday, after a news crew found bags full of rocks near the Congress building. 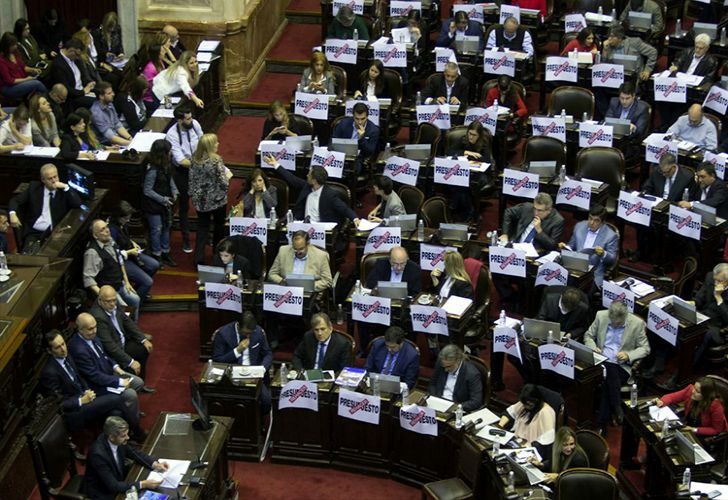 The government has 107 coalition votes in its favour; 23 from the Argentina Federal alliance; three from the Evolución voting bloc of Martín Lousteu; and one each from the Civic Front of Santiago del Estero, Córdoba independent lawmaker Adriana Nazario and Neuquén independent lawmaker Alma Sapag. Among the incentives to vote, particularly for lawmakers who respond to the authority of their respective provincial governor, was a compensation package of 6.5 billion pesos to counter the removal of urban public transport subsidies; the removal of an article which would have allowed the Executive to restructure public debt without Congress' approval; and a measure that would have blocked welfare recipients reaching the PUAM payment from working and making social security payments. Opposed to the Budget are the Renewal Front, Victory Front, Red por Argentina, Leftist Front, Justicialist Unity and Santa Fe socialist lawmaker Luis Contigiani.